Pancreas, the gland located deep in abdomen is an organ that has two types of glands: exocrine glands (responsible for producing juice that helps break down food) and endocrine glands (which release hormones that help regulate blood sugar). Though gradually worsening persistent abdominal pain with progressive symptoms of inadequate absorption of nutrients and development of diabetes mellitus because the pancreas cannot produce enough insulin. Pancreatic duct joins common bile duct before entering the duodenum, first part of small intestine. The most common cause of acute pancreatitis is temporary blockage of pancreatic duct by a gallstone. Less common causes include injury to the pancreas, other obstructions to pancreatic duct such as stones that may form when the blood calcium is too high, viral infection by mumps, alcohol abuse, adverse reactions to certain drugs or a peptic ulcer that has penetrated the gut wall and damaged the pancreas. Diagnosis: Diagnosis is by finding increased levels of pancreatic enzymes in blood and tests to discover gallstones or other causes are performed. After an attack symptom usually subside and blood enzymes return to normal within few days. It is based on blood tests of pancreatic function and x-rays, ultrasound. To add, water in nutrition is more essential than food itself. It’s an essential component of blood, lymph, bodily excretions as well as every part of each cell in body. At same time drinking cold or hot water matters. Cold one is not as good for hydration as room temperature; it causes blood vessels to shrink near the stomach and slowing absorption, so, add lukewarm water. Pancreatitis can cause dehydration, so drink more fluids throughout the day. 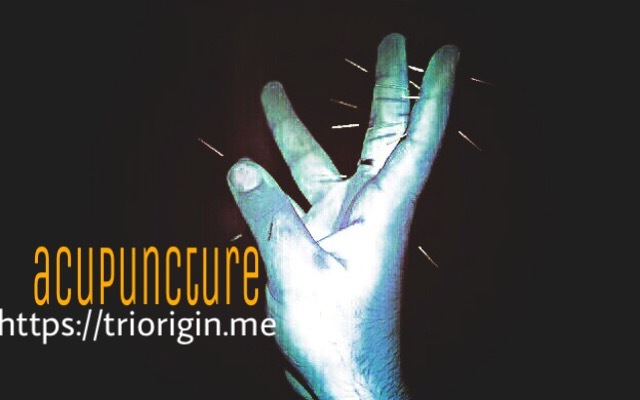 TriOrigin ‘micro acupuncture’ stands highly efficient method of non-medicaments treatment. The concept has capacity to remedy health disorders at a variety of levels, including emotional, mental, at somatic (inter-systemic) level, afflicted system and cellular levels. The concept will emerge useful both as tactical therapeutic modality in order to relieve an exacerbated condition, and as a strategic treatment aimed at dealing with first-order factors of Pancreatitis pathogenesis. It itself is a powerful medicine, which aids in strengthening the immune system and serves to prevent diseases, control pain and increase both abilities to function and quality of people’s lives. It has been shown to promote the health and improve body’s function, also helped many people who were not successfully treated through conventional western medicine. Several conditions can be dramatically improved or remedied in full.